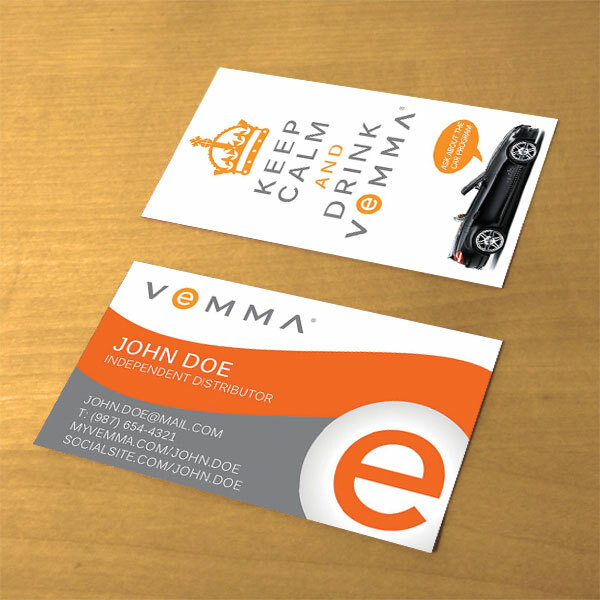 Let your prospect know you mean business with Vemma® Business Cards. Sleek, professional design with brand colors. 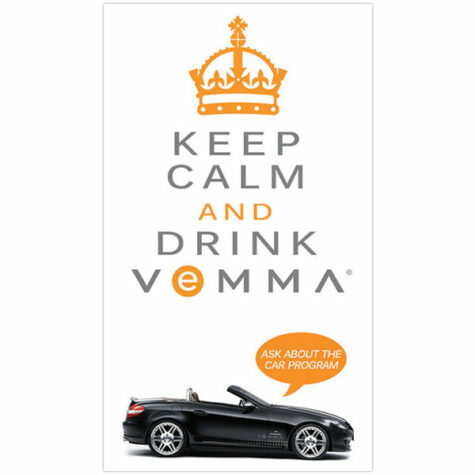 This business card design has the brand colors and catchy phrase “Keep Calm and Drink Vemma”, while promoting the Premier Club Car Program. 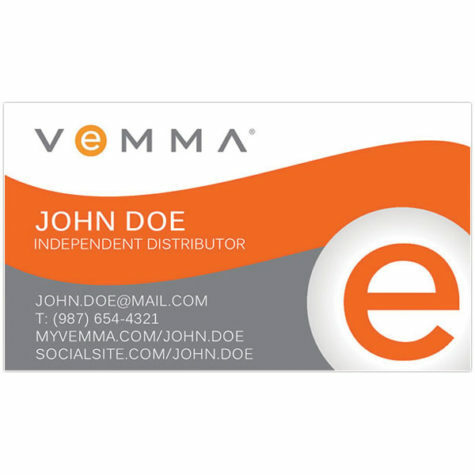 Enter your Name as you would like it displayed on your business cards. Select which title you would like displayed under your name. Enter your myVemma.com web address where a prospect can learn more and sign-up. Enter as email address where a prospect can message you. Enter a telephone number where a prospect can call you. Add your social media link you would like for prospects to connect with you. I have reviewed the information I have submitted, paying attention to spelling, capitalization and punctuation. I understand the order will be printed AS IS with the information I provided and no further changes will be permitted once order is submitted. All sales are Final and are not eligible for refunds. Yes, I APPROVE to print. By placing this order you understand and accept that: You reviewed the information that was entered; paying attention to spelling, capitalization, and punctuation. The order will be printed exactly with the information that was submitted. No further changes will be permitted once it is submitted. All sales are Final and NOT eligible for refunds. TightDesigns.com DOES NOT verify accuracy of the information you entered and can NOT be responsible for any errors overlooked by you when you approved and placed the order. 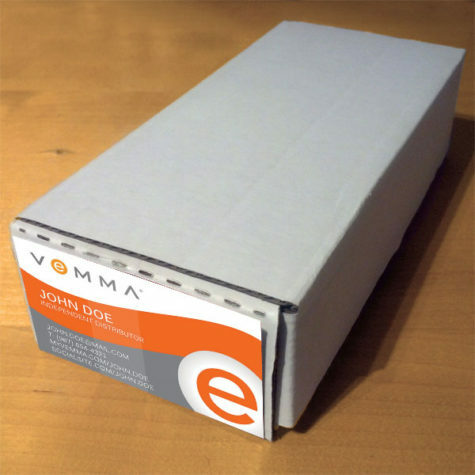 Once printed, items are non-refundable and reprints may incur additional changes.